Innovation, creative problem solving and passionate interest in the subject matter are a big part of successful internet and social marketing – the topics of prime interest to readers of Online Marketing Blog. Those same characteristics apply to organizations and individuals working to make strategic business and marketing changes for the future. In particular, these values are reflected in the upcoming PUSH 2008 conference in Minneapolis June 15-17. 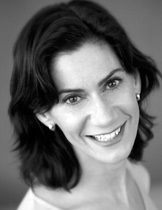 In the very busy run up to the conference, PUSH founder Cecily Sommers took the time to answer a few questions about PUSH and The Fertile Delta event. First, what is your background? How did you come to start PUSH and what are your goals for the upcoming event? PUSH is described as an experience first and a conference second, focusing on conversation, interaction and ideas which is a perspective very much in alignment with principles of social media. What synergies do you see between real world an online social networking? 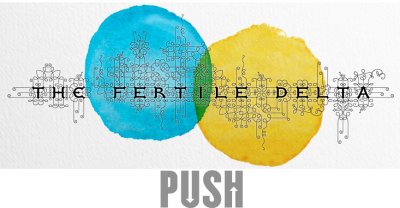 Can you share a few examples of emerging opportunities and business models that fit with the theme of this yearâ€™s PUSH Institute event: â€œThe Fertile Deltaâ€? Cameron Sinclair, Director, Architecture for Humanity, has a completely open source model for international design talent to work with communities in crisis to build homes, schools, health centers, etc. Van Jones, Executive Director, Ella Baker Center, creating a Green Corps to generate training and jobs to serve a green economy while alleviating unemployment and poverty in urban centers. What are some of the more promising shifts youâ€™re seeing with business innovation as a result of technology and online information sharing? Business models will evolve and create more overlap between public and private sectors, putting increased emphasis on Corporate Social Responsibility and Social Entrepreneurship. And in markets, personal fabrication technologies, or 3-D printing, will affect every industry from health care to food to retail and energy. PUSH Attendees include Directors, Managers, and Vice Presidents of Marketing, Consumer Insights, Product Development, Business Development, Store Design, Strategy and Innovation, Entrepreneurial Initiatives, Creative Services, Brand Management, Account Services, Strategic Alliances, and Design from enterprise-level companies such as Intel, GlaxoSmith Kline, Microsoft, Target, Best Buyâ€¦ as well as independent consultants, academics and artists. Thank you Cecily, we’ll see you on June 15th! if i could attend, i definitely would. this sounds so different than most marketing gab conferences. all about innovation and ideas. compilation of fact, opinion, and miles of mental research and query..putting things in proper perspective..analyzing how best to utilize tools. im foaming at the mouth here.